This beautiful backyard came together over the course of five years. Multiple levels and entertainment areas were designed into the landscape so that the clients could more fully enjoy the flora and fauna located beyond their yard in a natural area. 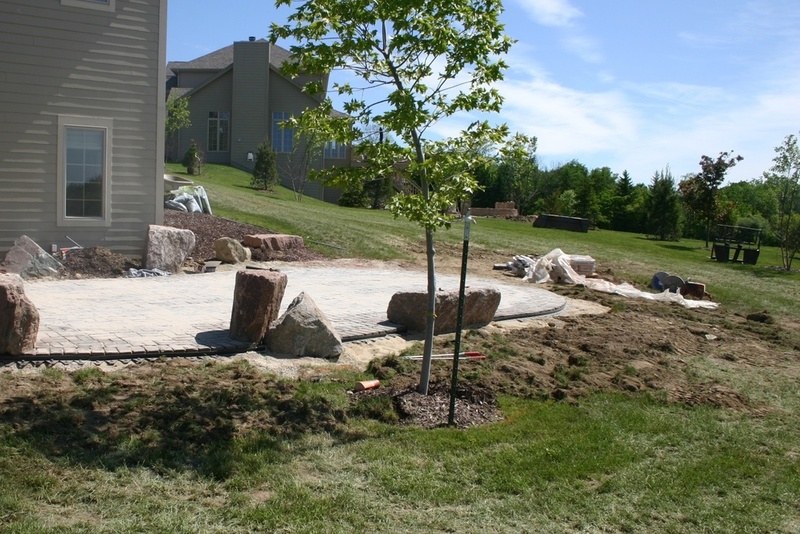 A main patio, a fire pit patio, a stone step system, perennial planting beds, seat rocks and low voltage lighting are some of the many elements that come together to create a backyard perfect for outdoor entertainment and enjoyment.